Did you know I am a lip balm freak? yes I am. I collect lip balm like a total freak. Lip balms kinda fun tho... you can always share it with anyone else, most of my friends and Mr. T will always ask me, "Ada lip balm x? Bibir kering la.." (You got lipbalm? My lips are chapped). And I will happily lend them my lip balm which rotates everyday depends on my mood on what flavor and brand I will bring along. This lip balm is my new favorite, despite the pretty cute packaging thats makes me feel so "kawaii" when taking out of my bag, I just enjoy the smell of it. I can just apply it the whole day or even in the car over and over again... No overpowering scent and does not taste bad. I am not good at describing scent, but it smells divine! This tint gives you that nice moisture and nice tint. 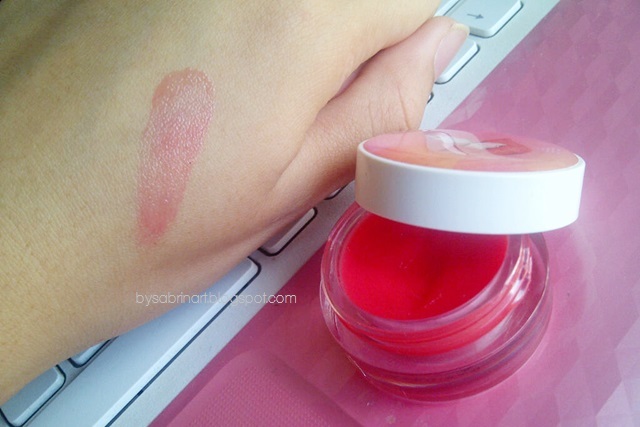 It also claims - "This intuitive silky gloss reacts with your body temperature to transform from its original shade into your own custom shade of lip color leaving your lips moisturized and supple in a shiny tinted finish." 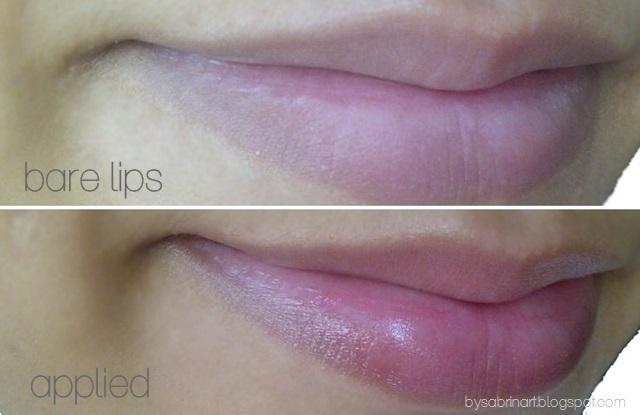 I don't know about that since I applied it so much, I think it just looks nice on my lips. 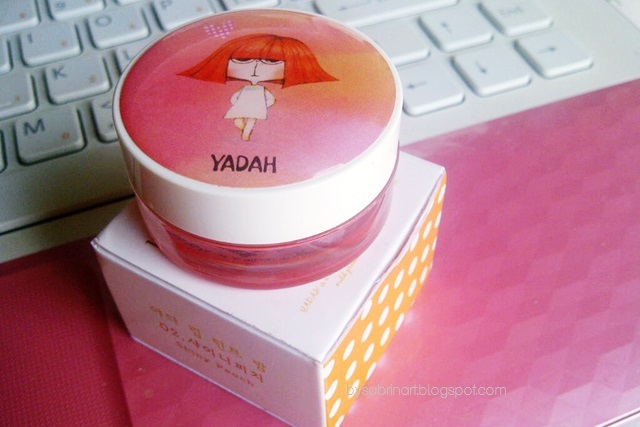 Yadah is a well know brand that use natural ingredients. No worries, no animal derivatives are used in this product. It is enriched with cupuacu butter, shea butter, sunflower seed oil, jojoba oil which act as natural conditioners with tomato, gromwell and moroheiya for its natural color pigments. There are four available color at the moment, Cherry Red, Shiny Peach (the one I'm reviewing here), Sugar Pink and Bling Bling Yellow. I'm thinking of getting Cherry Red and Sugar pink to my lip balm collection. You can get this at Stage Malaysia Store, and Sasa Store. Through online, you can get this here at Hishop. Zalora also carries Yadah product but I did see this one in store. Retails at RM25 each. Like Yadah Facebook Page for more news, promos and contests! Click here. wow the design is kawaii! Great packaging for lip junkie like me too! aik colour looked nicer in the jar but the packaging is so pretty!